Jadon Sancho is set to be handed his full England debut against the United States at Wembley, according to Sky sources. The 18-year-old Borussia Dortmund winger recently made his first England appearance as a substitute against Croatia in Rijeka. England manager Gareth Southgate is now expected to start Sancho for Thursday's friendly, live on Sky Sports, in what will also be Wayne Rooney's 120th and final international appearance. Newcomers to the squad, Bournemouth striker Callum Wilson and Brighton centre-half Lewis Dunk, are also likely to feature at Wembley. Southgate's focus is the potentially crucial Nations League game against Croatia on Sunday, live on Sky Sports, in which victory for England could see them win Group 4. England can qualify for the semi-finals if Spain fail to beat Croatia on Thursday and England beat Croatia three days later. Sancho was aged only two when Rooney made his first appearance for England against Australia in 2003. 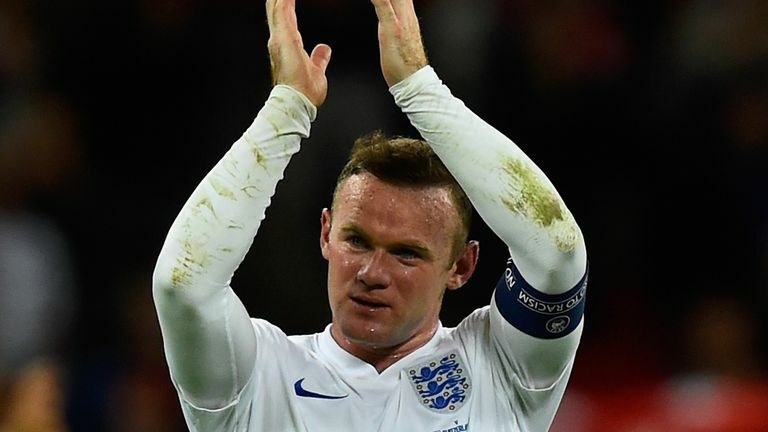 The former Manchester United and Everton striker will be brought on as a second-half substitute in Thursday's friendly, which is also set to raise money for the Wayne Rooney foundation. The 33-year-old has insisted he has made no demands ahead of his final farewell, and has not requested the No 10 shirt or the captain's armband.